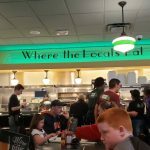 TRUSSVILLE — Metro Diner is open for business along Highway 11 between Tutwiler Drive and Calumet Parkway. The Spring Break opening on March 26 was a success. Owner Pete Cooper said the first full day of business they had a great turnout. He said Trussville was picked as a location for the newest Metro Diner because of the growth the city is seeing. Cooper said the city made moving to town easy. The new staff of about 105 has been trained and is ready to serve, according to Cooper. 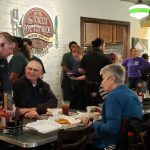 “We have a training team of about 20 people that are from other diners that are very seasoned, and two or three coordinators that have been with the company a really long time, so having that support really does make a big difference,” Cooper said. 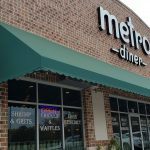 Metro Diner describes itself as a place that offers a commitment to creating dishes from scratch, utilizing unique recipes and offering imaginative twists on old classics. All Metro Diners have the same decor. Green awnings on the outside with a metro font design. On the inside, classic retro tables offer a comfortable, familiar atmosphere. Customer Rolanda Warren was satisfied with her experience. The menu offers a variety of dishes, including a breakfast offering that boasts traditional eggs, bacon and Eggs Benedict, to lunch and dinner fares such as meatloaf, chicken and waffles, and Charleston shrimp and grits. 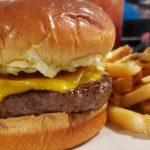 Fans of burgers and sandwiches are also covered by Metro Diner, which carries a large variety of each. The food is never frozen. Cooper said he plans on getting involved with the community. The first event he plans to attend is the April 6 Flashlight Easter Egg Hunt at The Trussville Civic Center.